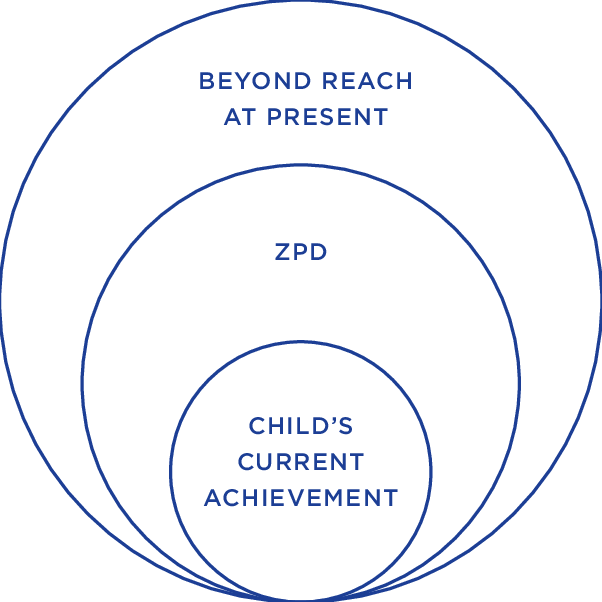 During my doctoral studies we learned about Vygotsky’s zone of proximal development (ZPD). In short, Vygotsky studied what learners could do with and without help. The ZPD involves students in varying skill sets working together to solve problems and learn what they may not be able to complete alone. The theory is that the students learn from their experience together and will not need guidance from others on the task. I took this information to try having my students take some of their tests (you may call them quizzes) in partners. I situated the classroom so that students could sit in pairs and be far enough away to talk to one another about each question. The first time they took their test, I picked their partners. During the test, it was so fun for me to walk around the room and listen to all of the conversations occuring about each question. There were no off-task conversations; just students going back and forth debating their answers. Their first test scores were up significantly from the year before when all formative assessments were individual. Their conversations during the test showed their problem-solving skills and them thinking through the answer – this was an unexpected outcome that made me decide to continue this type of assessment. Students still had larger unit tests on the material, but they also had the practice of collaborative learning throughout the learning process. I often randomly switched the grouping of partners so students did not know ahead of time – and one time I simply had them work with the person they walked into the classroom with that given day. Another outcome of this strategy is that students developed better relationships with their classmates and helped make our room feel more like a community. The concept of “group tests” may not sound appealing at first, but given the right structure and set up can be very worthwhile to students. Since deciding to try this initial idea, two other educators have also tried this strategy and have reported very similar results. I believe if we are serious about student achievement, it’s important to rethink our strategies and be willing to take risks. The worst that can happen is we fail, reflect, and try again. This sounds a lot like the team quizzes in problem-based learning, where students do quizzes individually and then work in groups to refine their answer. It also sounds similar to the peer instruction model. So there are a lot of folks out there who are having good results with team approaches to testing! It’s neat to connect it to Vygotsky! It’s been long enough since I looked at that model that I tend to think of it as a personal zone, but of course that personal readiness to learn new things would be impacted by social relationships and support. ZPD is a very flexible concept. Because it is part of a social cultural theory it connects nicely in this context. Assessment as a social process. I love the idea of the partner quizzes. It seems like something that would give students a sense of solidarity with one another and open them up to the idea that you, as instructor, are not the antagonist.